The musical behemoth Leon Ware – producer, songwriter, and performer has left us. He started his career writing sweet soul songs in the ’60s penning hits for Ike and Tina Turner, and he truly blossomed in the ’70s writing for Minnie Ripperton, Quincy Jones, and arranging, producing, and co-writing the masterpiece that is Marvin Gaye’s “I Want You”. The record brought out his definitive style of velvety strings and soothing harmonies that eventually lead him to creating the unsung masterpiece, his solo record Musical Massage. To honour his musical legacy, I chose to focus on his production with five songs that each represent a different chapter in his career. I cannot write a single word more without immediately mentioning “Come Live With Me Angel”, which to me the most iconic Ware production of all time. The powerful driving intro leads to one of the lightest most gorgeously subtle bridges ever recorded. The string plucks and syncopations of light drums and the complex fluidity of the whole song reveals Ware’s musical genius, let alone his songwriting ability. While Leon gave Marvin’s post-What’s Going On career the right push, unfortunately Motown never promoted Musical Massage the correct way. In 1980 Ware decided to become executive producer for the upstart group Shadow. The result is a stellar mix of classy and grown funk and Ware’s impeccable melodic phrasing. On “Cant Keep Holding Back”, the bass line and strings perfectly align, and Ware’s signature style is immediately recognizable. Any project Ware is involved in hits a standard of quality that is virtually unmatched. Leon Ware was more free and comfortable to express himself on his “Rockin’ You Eternally” LP released in 1981, as the cover art seems to indicate. To me the track “Our Garden” is a forgotten gem. The epic intro is reminiscent of the Gaye tradition of lushness, the lyrics are on point, but it’s the uses of spacey synths and news-recordings that make this a truly special composition. Needing to constantly reinvent his sound, and being a singer / songwriter / producer himself, it’s only natural that Brazilian legend Marcos Valle reached out to Leon Ware for his “Estrelar” single. Three decades later, the ubiquitous groove has taken a life of its own and is an immediate crowd-pleasing crossover phenom that remains fresh to this day. Ware was still active on the scene and was actually working on Omar’s new record. To showcase the man’s versatility, I think Omar’s “Can’t Get Nowhere” shows how Ware could adapt to any genre and produce quality music for any artist. His music speaks and appeals to all walks of life, and it is very rare to encounter an artist that embodies musicality so wholly. 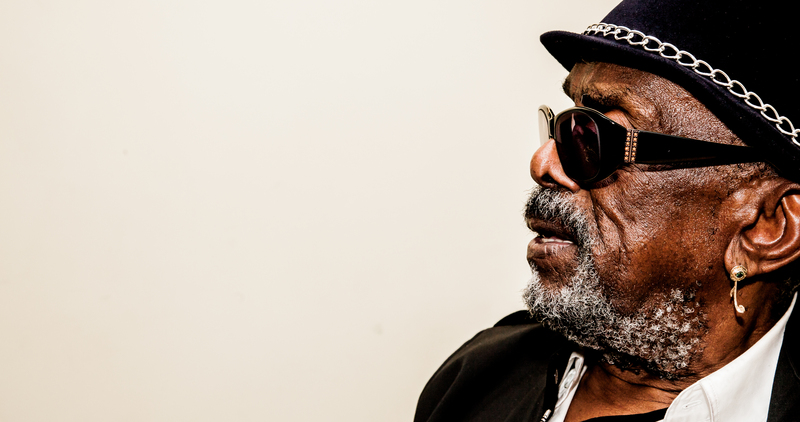 Leon Ware was a rare breed of a complete musician, and a truly brilliant practitioner of groove. His influence will be felt for years to come and his musical heritage will remain forever timeless. He will be truly missed by many, may he rest in peace.